Green Comotion: Clean-up and such! I normally clean my bikes in the garage or outside of our home, usually. But this summer, it has been so hot both outside the home and in the garage, it is impractical to attempt cleaning the bike anywhere except inside. So, Brahma was mounted on the repair stand and we had work to do. The first thing to do was to lube the chain. I haven't done it ever since I got Brahma. Luckily, I had good help, as you can see. This year, I have switched to ProLink lube. I like it so far. After lubing the chain, I went over Brahma with an old TShirt and cleaned thoroughly. Brahma is back to lookin' brand spankin' new, again! 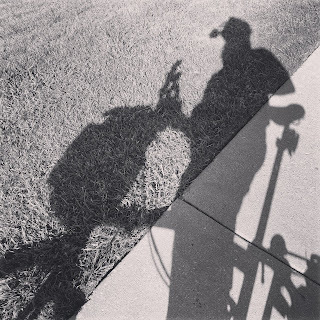 What's new with you and your Brompton? Drop me a comment!